Looking for a simple bible study for kids? Teaching children about God starts with teaching kids an easy Bible study method that allows them to understand and apply biblical truth to their lives. Not only are these Bible study lessons for kids an important part of teaching kids how to get closer to God, teaching children how to study the Bible is an important aspect of helping kids build godly confidence. Let me show you a simple Bible study method that will help your kids develop a daily Bible time habit. This really is an easy Bible study method that that any Christian parent can use to teach their kids how to do Bible study! Don’t miss this FREE video teaching that’s perfect for anyone wants to know how to study the Bible (in a simple and straightforward way)! 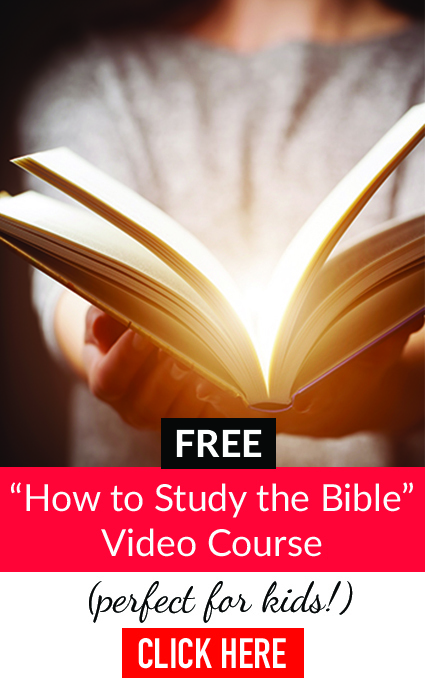 CLICK HERE FOR THE FREE VIDEO COURSE ON HOW TO STUDY THE BIBLE. It’s simply not enough to just take our kids to Sunday school lessons every week and vacation Bible school every summer. We must teach our kids simple, practical ways to grow closer to God, and that starts in the home. But wait! Don’t let the thought of Bible study lessons for kids stress you out! I’m a busy mom of four kids too, and I get how daily Bible study for kids can sound intimidating and overwhelming (especially when life is already crazy!). That’s why I developed the 5Rs Bible Study™ Method–an awesome Bible study method for kids that makes children’s Bible study easy and simple. Go here to download a FREE VIDEO COURSE that teaches anyone how to study the Bible in only a few minutes a day. 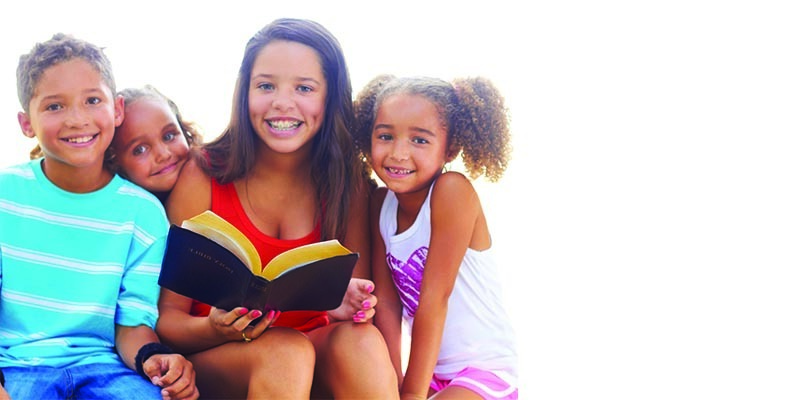 How Does the 5Rs Bible Study™ Method Work for Kids? The 5Rs Bible Study™ Method makes kids Bible study incredibly simple because it helps kids understand, study and apply scripture to their lives in a easy, step by step method. It’s a simple, step-by-step Bible study method that works. And all you need is a Bible, a notebook and a pen or pencil. I’ve created a free video training with this simple Bible study method steps in order to make it easy to teach kids how to do Bible study at home. Just click here and I’ll send this FREE video course straight to your inbox. 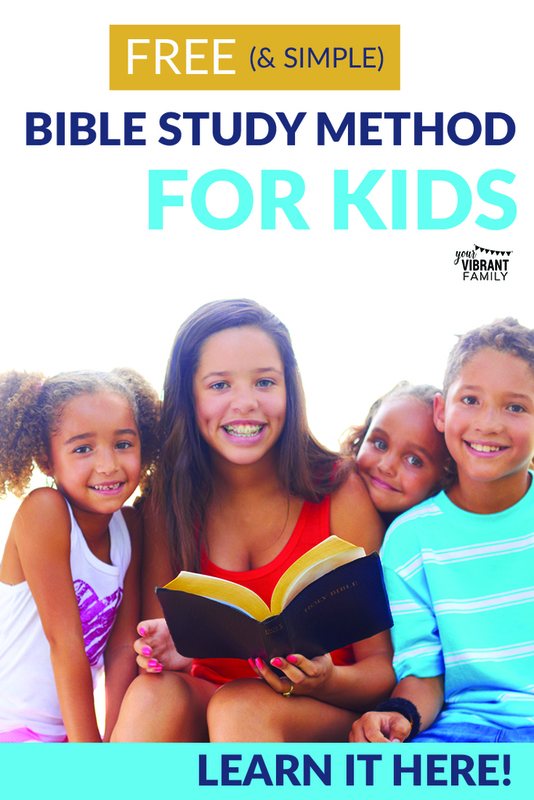 Why Is the 5Rs Bible Study™ Method Ideal for Daily Bible Study for Kids? I created the 5Rs Bible Study™ Method because I wanted a practical, powerful Bible study method for my own kids to do their Bible lessons at home. While there are other kids Bible studies out there, I don’t like that other Bible study lessons spoon feed my kids the information. I want my kids to learn how to study the Bible on their own! I want them to be able to open their Bible to any verse and have a specific way to glean deep spiritual insight from God. 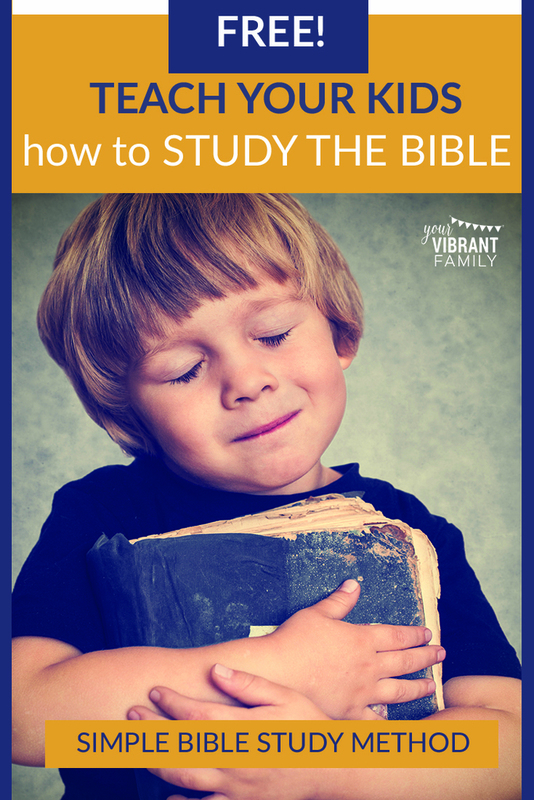 Don’t you want a Bible study for kids to actually teach your kids how to study the Bible? Me too! Teaches kids how to understand the Bible and to how to apply biblical truth to their current life situation. Again, I want to make it super easy to teach these Bible study lessons for kids. Go here to get the free video teaching on how to study the Bible with the 5Rs Bible Study Method. Not only does this free video course teach you this simple Bible study method, but it gives you a chance to try the Bible study method for yourself with homework! Don’t miss this chance to make Bible study easier for your kids! Give your kids the important life skill of being able to understand and study any Bible verse so that they can develop godly confidence. You’ll want to use this Bible study method during family devotion time, your personal Bible time or even to help friends and family understand and apply scripture in powerful ways! 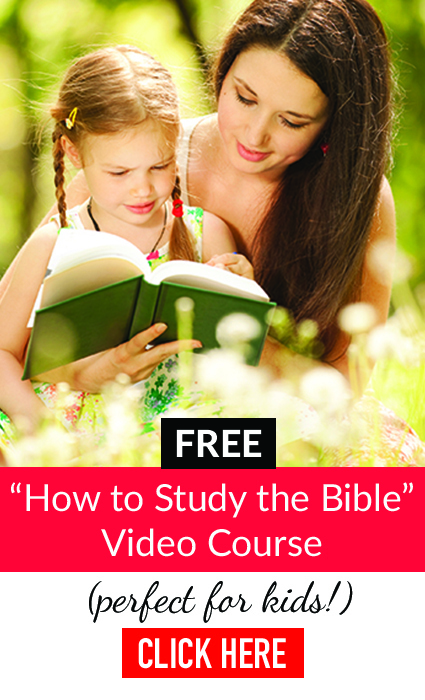 GET THE FREE “HOW TO STUDY THE BIBLE” VIDEO COURSE HERE. What’s the ideal age range for kids to use the 5Rs Bible Study™ Method? It depends on the child’s maturity and learning ability overall. I’ve seen kids as young as 6 or 7 use the 5Rs Bible Study Method™ for daily Bible lessons. For younger children (or those who don’t like to do a lot of writing), you could have them verbally answer the questions and then you write it down for them. 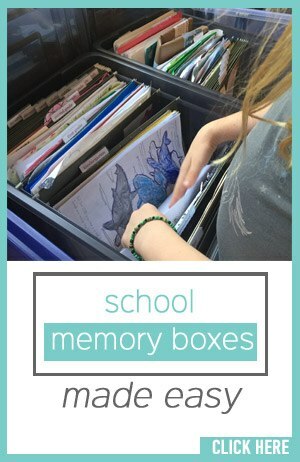 Can kids do the 5Rs Bible Study™ Method on their own or should I do it with them? At first, I would suggest that you go through the 5Rs Bible Study™ Method with your children as part of daily Bible lessons. As kids become older (and more comfortable with doing Bible study independently), I’ve found that my children can complete their daily Bible time on their own using the 5Rs Bible Study™ Method. How do I find Bible verses for my child to study? There are a few ways. You could come up with a list of character traits to study (for example, here’s a list of Bible verses about wisdom) and have kids go through them one at a time. Or, you can make it really simple and grab one of the 5Rs Bible Study Resources. These 6-week Bible study journals use the 5Rs Bible Study Method to study 30 Bible verses on a specific topic, such as love or joy. Plus, each Bible study journal has a corresponding Bible study guide with discussion questions, journaling prompts and additional Bible verses that make it easy for parents to talk to kids about these topics. Learn about the joy Bible study here (Joy Full 5Rs Bible Study Resources) and the love Bible study here (Be Loved 5Rs Bible Study Resources). Can I use the 5Rs Bible Study™ Method for my own Bible study lessons (or for family Bible time)? Absolutely! I recommend it to families all the time for either individual (learn how to use it for your own quiet time) or family Bible study together. However, because the 5Rs Bible Study™ Method itself is a trademarked Bible study method, it cannot be used to create a Bible study outside of your own home. This means that it’s not permissible to create your own Bible study for a group using the 5Rs Bible Study Method. For example, you cannot create a free study to give away (or to sell) to anyone else, such as on a website; and you can’t create your own study to use with your students in a Christian ministry. Again, we created the 5Rs Bible Study Resources for those who would like an easy way to use this personal Bible study method for a individual study, or for those who would like to use this easy Bible study method to study the Bible as a group. Thanks for your help in respecting the trademark on the 5Rs Bible Study™ Method! And of course, don’t forget to get the free video course on how to teach your kids the Bible using the 5Rs Bible Study Method!